Rims are an incredibly important part of the car because they serve as the link between the axles and the tires. In a perfect world, rims would remain in pristine shape forever. Unfortunately, we don’t live in a perfect world. Sometimes a rim gets bent and throws the entire vehicle out of whack. Many customers ask us questions about bent rims and how to deal with them, so we decided to put together this list of FAQs. 1. What Causes a Bent Rim? The short answer is a heavy impact on the wheel. Even though rims are made of aluminum alloy, chrome, or steel, they’re still vulnerable to impacts caused by potholes, curbs, speed bumps, and other road hazards. 2. What Happens If I Have a Bent Rim? If not caught in time, a bent rim can cause the tire to leak air, which leads to decreased fuel economy and poor handling. It may even result in a flat tire or blowout, which can be pretty dangerous, especially at highway speeds. Bent rims can also cause wheels to wobble at speed, making your vehicle unstable, and they can interfere with steering too. For all these reasons, it’s wise to take care of a bent rim as soon as you notice it. 3. What are the Symptoms of a Bent Rim? 4. Is it Possible to Repair a Bent Rim? It depends on the level of damage to the rim and the type of wheel you have. 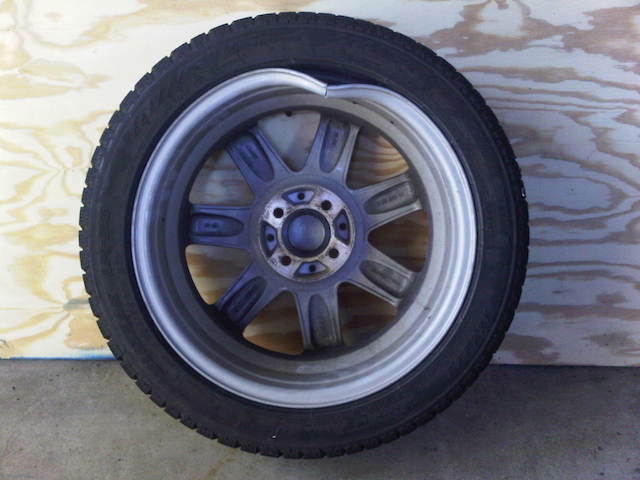 If you have steel wheels, and a bent rim is your only issue, you can usually have the wheel repaired. If you have alloy wheels, there is typically no way to repair a bent rim. Even minor bends can crack if you try to repair them, so it’s usually a good idea to just buy a replacement wheel. Finally, if you have a bent rim, it’s a very good idea to inspect your vehicle’s wheel studs to look for bends or other signs of damage whenever you fix or replace a rim. 5. Why Are Replacement OEM Rims So Expensive? Replacing an OEM alloy wheel typically costs several hundred dollars – far more than you’d pay for a single aftermarket wheel, but not quite as much as a set of inexpensive aftermarket wheels. This is intentional, as replacement wheels are a great source of profits for most automakers. You can buy an OEM knock-off. There are a few companies that sell nearly identical replacements for OEM rims. The trouble is, a) they’re not quite the same, and b) they’re typically only available for popular models. You can buy a ‘take-off’ rim. Whenever someone upgrades their OEM set of wheels to something aftermarket, the OEM wheels are called “take offs” and are sold on eBay, Craigslist, at your local wheel and tire store, etc. Take-offs are typically sold as a set, but not always. Finally, be sure to note that you can buy a new set of aftermarket rims, and then sell your old wheels as take-offs. If you find out that a take-off rim for your vehicle isn’t available – or that it costs a pretty penny – you can sell your 3 good wheels as take-offs. Just be sure to list them on eBay (a great place to find replacement rims), and take your time. If you’re selling a single wheel for $200 (for example), it’s going to be a while before you get rid of all 3 wheels. 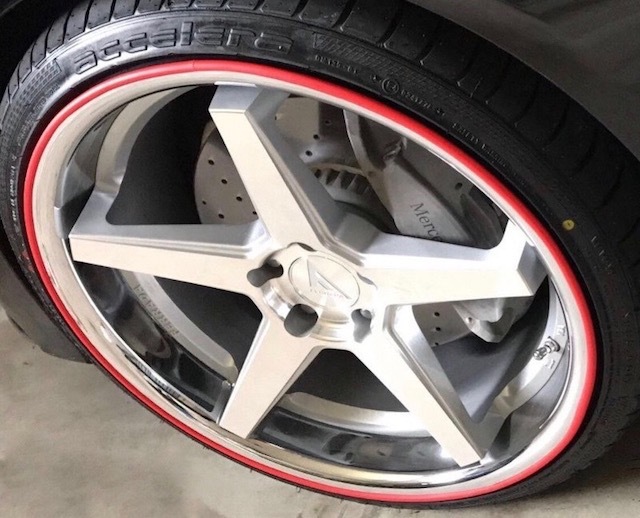 Last but not least: While RimBlades and RimSavers won’t prevent severe wheel damage like a bent Rim, they will prevent most curb scrapes, as well as superficial damage from potholes, road debris, etc. Considering how much it costs to fix a scratched wheel, RimBlades and RimSavers are a good investment.